Campaign Note: Louis Vuitton creative director Nicolas Ghesquière does an incredible about-face for the Louis Vuitton Fall 2014 advertising campaign. 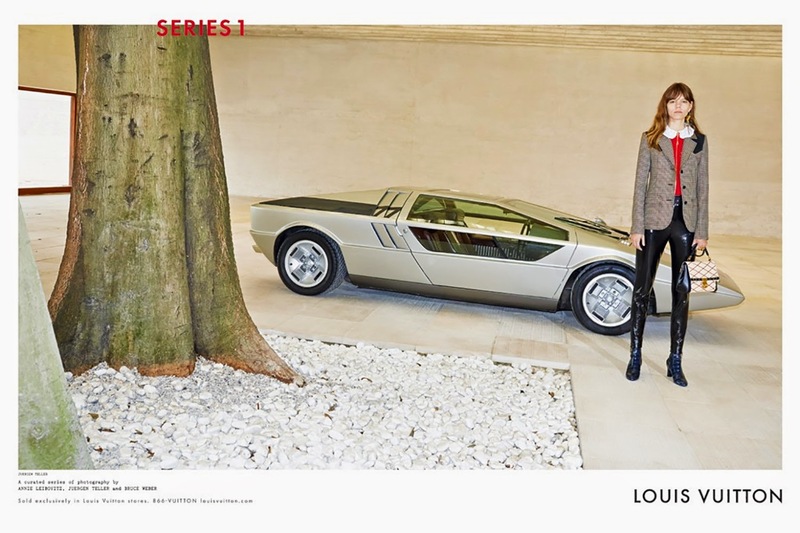 Ghesquière commissioned three of the biggest photographers, Juergen Teller, Bruce Weber and Annie Leibovitz, giving each of them free reign to interpret the Louis Vuitton Fall 2014 Collection as they saw fit. 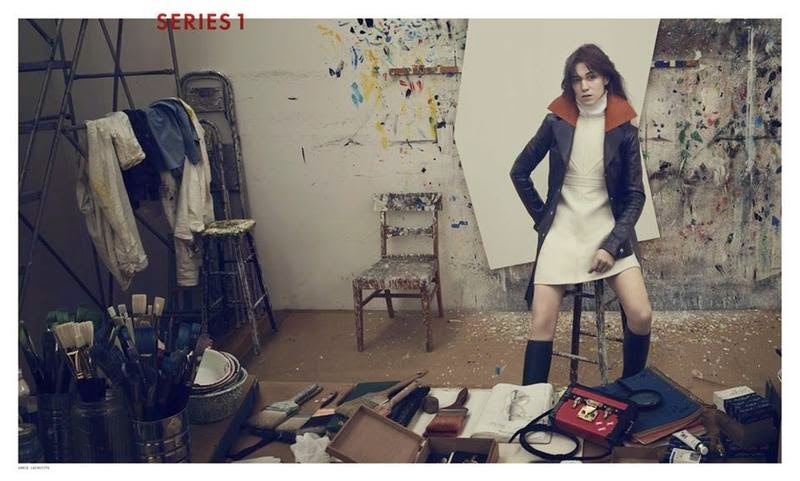 The Fall 2014 campaign, "Series 1", features some of Nicolas Ghesquière's favourites: actress Charlotte Gainsbourg, along with models Liya Kebede, Freja Beha Erichsen, Jean Campbell and Kirstin Liljegren. 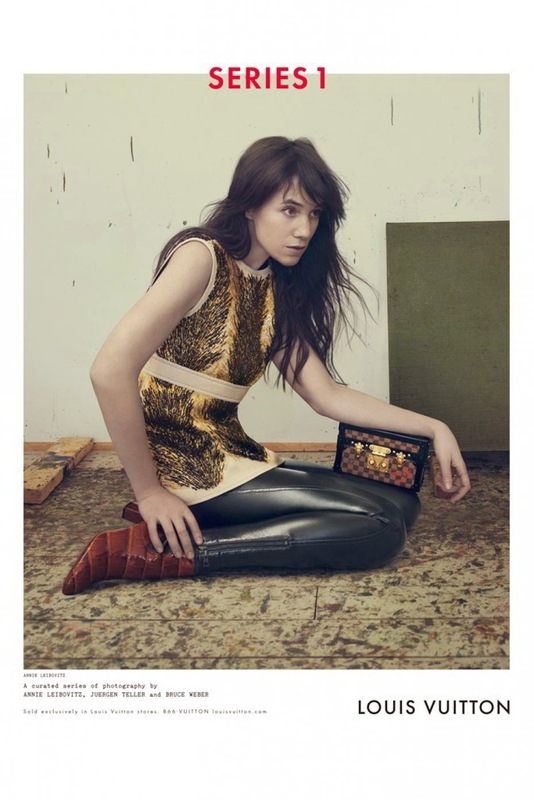 To see the more of the Louis Vuitton Fall 2014 - Series 1 advertising campaign, click "READ MORE" below. Actress Charlotte Gainsbourg lensed by Annie Leibovitz. Model Liya Kebede photographed by Bruce Weber. 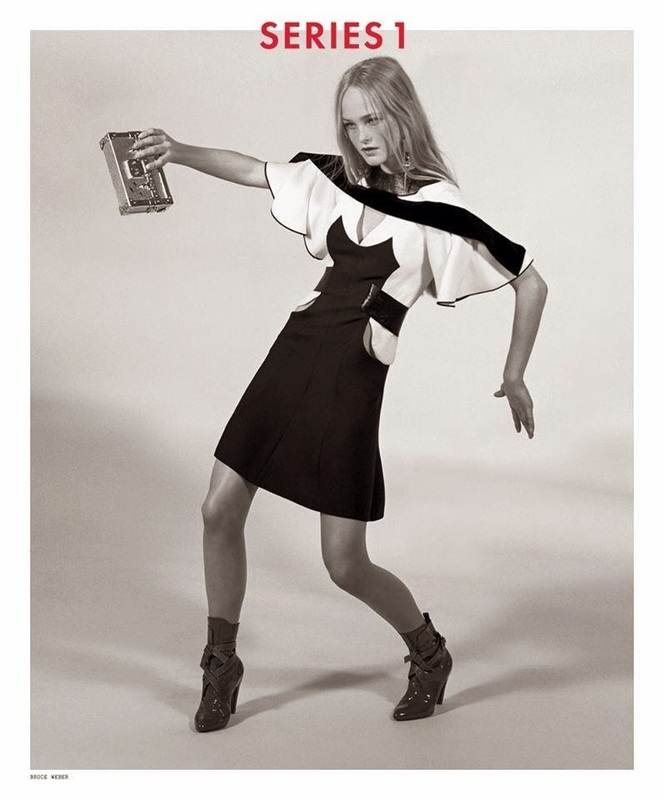 British model Jean Campbell, photographed by Bruce Weber. Model Freja Beha Erichsen photographed by Juergen Teller. Danish model Kirstin Liljegren photographed by Juergen Teller. Click here to see the entire Louis Vuitton Fall 2014 Collection.